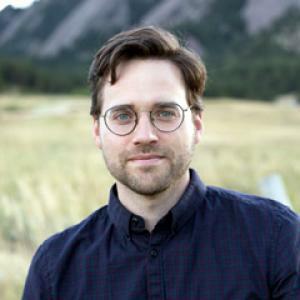 Nathan Schneider (nathan@weown.it) is a journalist and an assistant professor of media studies at the University of Colorado Boulder who writes about economy, technology, and religion. His most recent book is Everything for Everyone: The Radical Tradition that Is Shaping the Next Economy, published by Nation Books, and two previous books, God in Proof: The Story of a Search from the Ancients to the Internet and Thank You, Anarchy: Notes from the Occupy Apocalypse, were both published in 2013 by University of California Press. His articles have appeared in publications including Harper’s, The Nation, The New Republic, The Chronicle of Higher Education, The New York Times, The New Yorker, The Catholic Worker, and others. He writes regular columns for America, a national Catholic weekly, and he is a contributing editor for YES! Magazine. In 2015, he co-organized “Platform Cooperativism,” a pioneering conference on democratic online platforms at The New School, and co-edited the subsequent book, Ours to Hack and to Own: The Rise of Platform Cooperativism, a New Vision for the Future of Work and a Fairer Internet.